For the second time in four days Eden Hazard seemed set to haunt Liverpool. 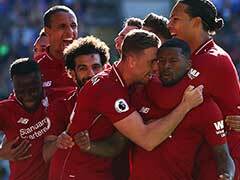 Substitute Daniel Sturridge's sensational strike a minute from time preserved Liverpool's unbeaten start to the Premier League season as Jurgen Klopp's men salvaged a 1-1 draw at Chelsea on Saturday. 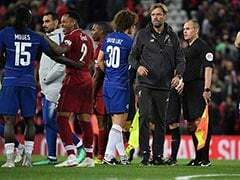 For the second time in four days Eden Hazard seemed set to haunt Liverpool as after deciding a League Cup tie between the pair on Wednesday, the Belgian fired Chelsea in front on 25 minutes. Mohamed Salah and Roberto Firmino had efforts cleared off the line and Xherdan Shaqiri sliced wide a great chance as Liverpool were headed for defeat. But Sturridge's late intervention means they move level on points with Manchester City at the top of the table ahead of a huge clash between the two at Anfield next weekend. 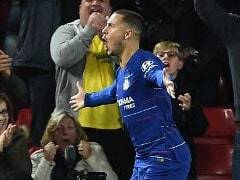 Chelsea are just two points back in third and showed their own title credentials by continuing an unbeaten start under Maurizio Sarri with an impressive defensive display complemented by Hazard's class at the other end of the field. Both sides were back to full strength after Sarri and Klopp made eight changes for the League Cup between the pair. Salah was back for Liverpool after being crowned the third best player in the world for the past year by FIFA on Monday. But the dead eye for goal shown by the Egyptian last season to earn that accolade ahead of the likes of Lionel Messi and Hazard was missing as Liverpool paid for a wasteful start. Twice Salah wriggled into clear shooting positions on his favoured left foot on the edge of the box inside the first 10 minutes, but his first tame effort was easily saved by Kepa Arrizabalaga before he blazed his second high and wide. 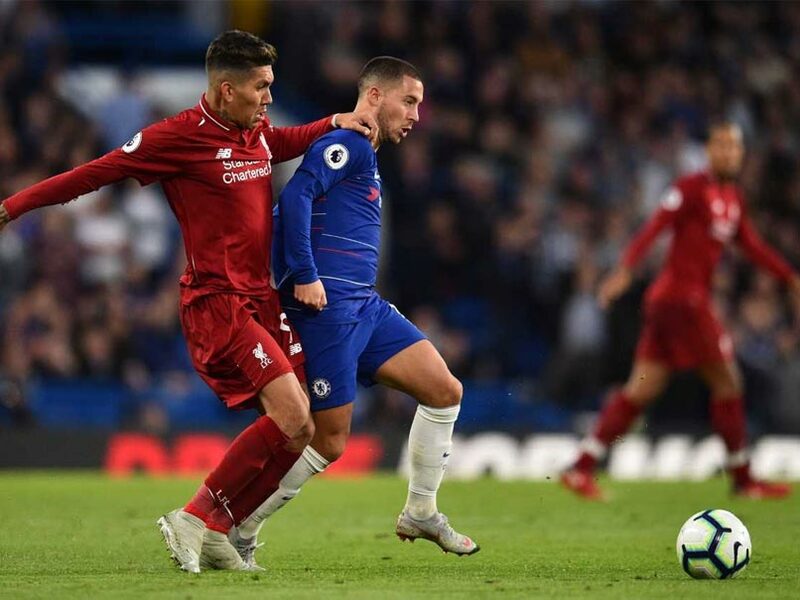 Hazard was picked out by a fine through ball from Mateo Kovacic and forced onto his weaker left foot he still managed to drill the ball low past Alisson Becker for his seventh goal of the season. Chelsea have dominated possession since Sarri took charge, but the hosts seemed happy to sit on their lead and not expose themselves to Liverpool's rapid counter-attack after going in front. Salah should have levelled against his old club just after the half hour mark when he outmuscled Marcos Alonso and rounded Kepa, but his goalbound effort was cleared off the line by Antonio Rudiger. The world's two most expensive goalkeepers were on show and both Kepa and Alisson showed why they cost a combined £140 million with big saves on the hour mark. Firstly, the Spaniard got down quickly to his right to turn Mane's shot behind for a corner. Moments later a quick Chelsea free-kick caught Liverpool napping and Alisson produced a brilliant block to deny Hazard his second. Salah paid for his profligacy before the break when he was replaced by Shaqiri 24 minutes from time. But that decision from Klopp looked costly when the Swiss international sliced wide from point-blank range with just Kepa to beat from Andy Robertson's teasing cross. David Luiz then hacked clear Firmino's header off the line as Liverpool seemed set to be held scoreless for the first time since they last visited Chelsea in May. However, Sturridge succeeded where Liverpool's first-choice front three had failed with a spectacular dipping effort from 25 yards against his old club to again prove his worth in Klopp's bid to end a 29-year wait to win the title.